This article was published in the Ranchman magazine August 1943. The 4th of this month (November) is the anniversary of the birth of America’s greatest and most beloved character, Will Rogers, whose tragic and untimely death on August 15, 1935, stunned the entire civilized world. That was 8 years ago last August and America still mourns his passing. Hardly a week has passed since then that we have not heard somebody make a remark something like this: “Wasn’t it bad that this country had to lose Will Rogers. I would like to know what he would have to say about such and such a question.” Will Rogers could always be relied upon to make a quip about some happening of national or international interest that would hit th’ nail squarely on the head and he did it in a friendly and humorous way. Oologah has been my home since I was six years old and I was privileged to know Will Rogers personally since that time and I am very proud of that. I saw him start at the very bottom of the ladder that leads to fame and observed him reach the dizzy heights of the top-most rung of that ladder, despite the fact that he was just a man of the common people and with scarcely no “book larnin’ but like Honest Abe Lincoln, it was no handicap for him because he possessed plenty of good old common “hoss sense” to more than make up for a ton of college degrees. I realize that Will Rogers belonged to America, and not to any little “jerk water” communities, but I sincerely believe that the folks around Oologah, where he was born and grew up, knew him better than other folks could. Here he was just one of them and these people considered him just as he was before he left, and he like that too. Just a few years before his passing he had quite a bunch of men working on his 1600 acre ranch here at Oologah. Some of them were taking care of the stock, some were farming the tillable soil, and some were clearin’ land and killing trees. Will made a visit here while they were workin’ there and he mixed among them as though he was one of them. At meal time they lined up in the big dining room of the old ranch house and sat down at tables made of long pine boards that rested on trestles. The table was laden with plenty of plain whole-some food, including navy beans with ham hocks, etc. The sort of food Will liked most. He was seated among them and enjoyed himself immensely. Many of them did not realize they were dining with a great celebrity who was considered an honored guest at Buckingham Palace, the White House, or any other high-falutin’ place on earth. Will would get up from the table and pass the biscuits around, or pour some dirty workingman another cup of steamin’ coffee. He was one of them and proud to be there. When Will got ready to return to California, they started to crate the pony and when Will saw what they were doing, said, “Aw, that’s alright. Just let the pony stay here and when I want it, I’ll send for it.” He never sent for the pony and it died with old age with the children who had raised it. 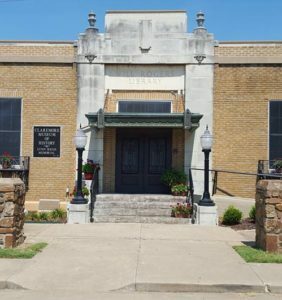 Lots of folks around Oologah can tell similar stories and that’s why I say folks around Oologah knew Will Rogers better than he was known any other place on earth…and they miss him more! His place will never be taken by anyone during our time!